So yesterday my husband finally ran his first ever 10K. Talk about peer pressure & wanting to prove that he can do what I can do as motivation to do and finish his first ever run. Hooray! Hahaha. Our gun start was at 5 AM so we had to be up by 3. Well, I was up at 3 and Mr. JG was up at 3:30. We managed to leave home around 4:20 far from my plan to be at the race venue by 4:30. 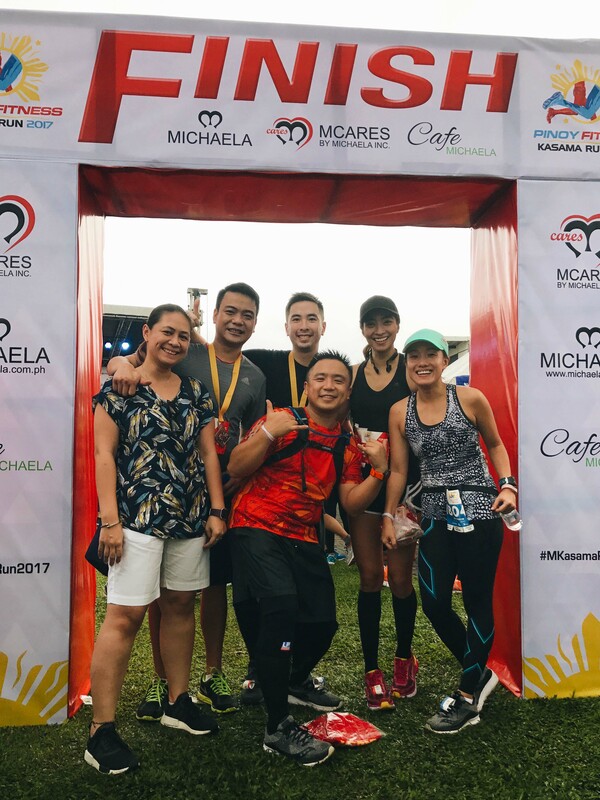 I think more than the run itself, the challenge for my husband was to wake up in the middle of the night on a weekend because #teamsleep sya. Instead of running at 5, we joined the 5KM wave’s gun start at 5:15. 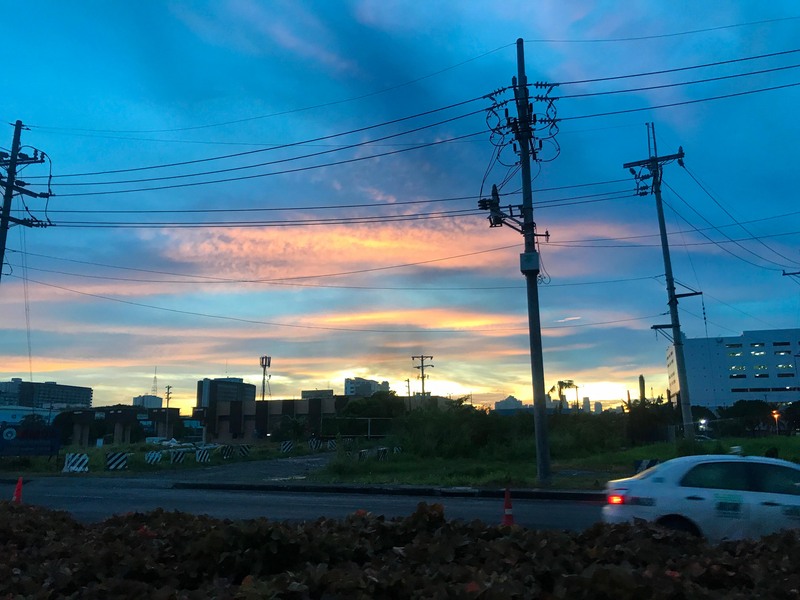 In the middle of our run, we got a glimpse of the beautiful sky greeting all the early risers that Sunday morning. My husband and his best friend Peter were motivated because one of our friends and long time runner was celebrating his birthday that weekend and wanted to celebrate with us by having breakfast buffet. The condition? For these boys to finish the race. Ayan, food is the motivation! If you follow me on Instagram, you’ve probably watched my stories that morning. 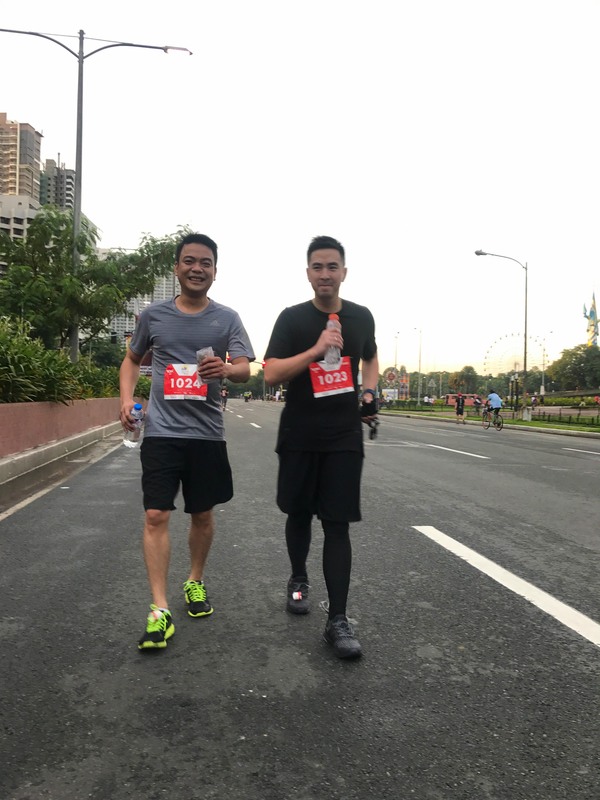 So proud of these two guys for doing their first ever 10K run with little to no training. They just had to make sure that they pace properly and walk it off whenever they need to. 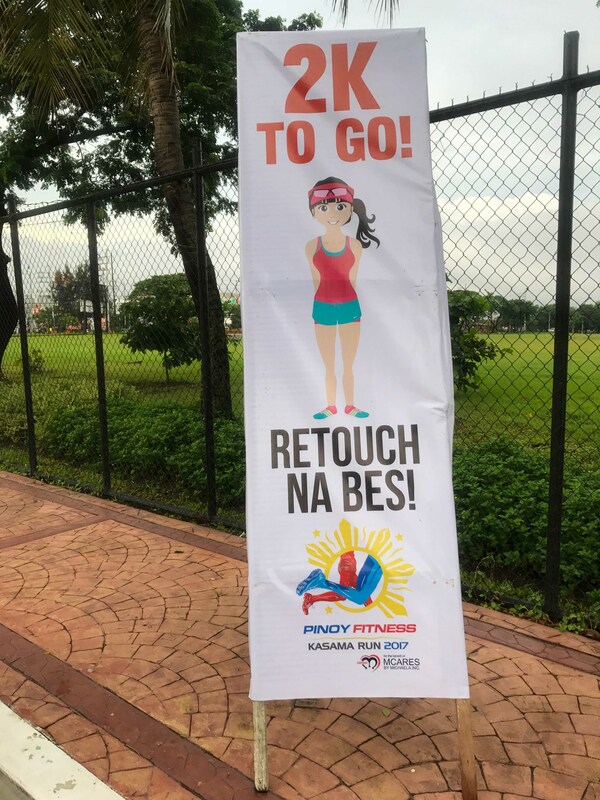 In between running and walking it off we took a souvenir photo along Roxas Boulevard. 7k in and they’re more motivated to finish than ever! 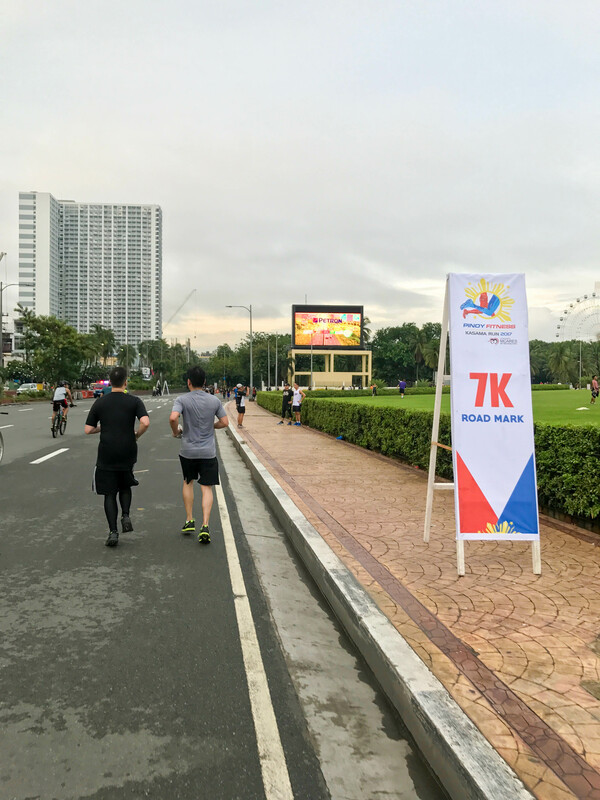 Since I wanted to really run but my priority is to make sure the boys finish their first race, I took this chance to sight see and take photos. Heehee. Shempre if you can japorm while you preform e better! 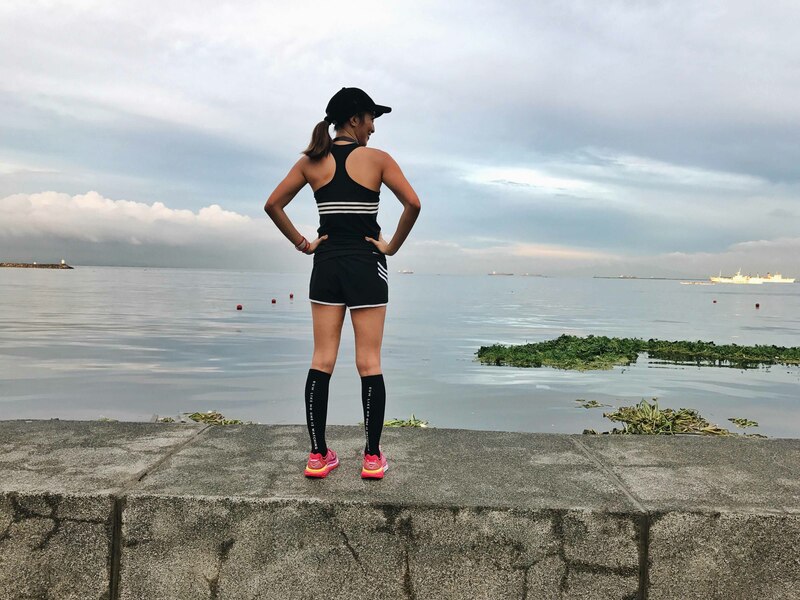 Wearing my favorite running socks from H&M and my lucky 10k running shoes Hoka One One. The weather was perfect that morning. It rained the night before so there’s cool breeze and the sun was hiding. 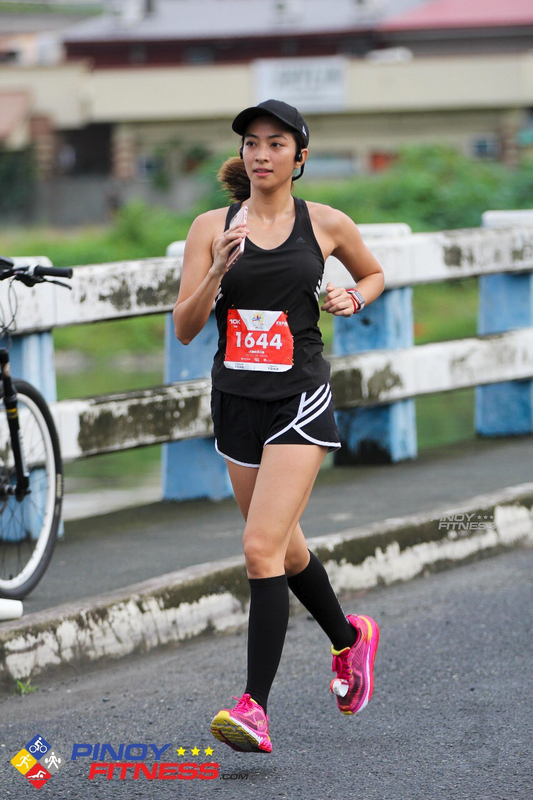 Last 2K and I told the boys I have to run because my legs were already locking from walking & sprinting. Told them I’d wait for them in the finish line so I can get a video of them crossing. 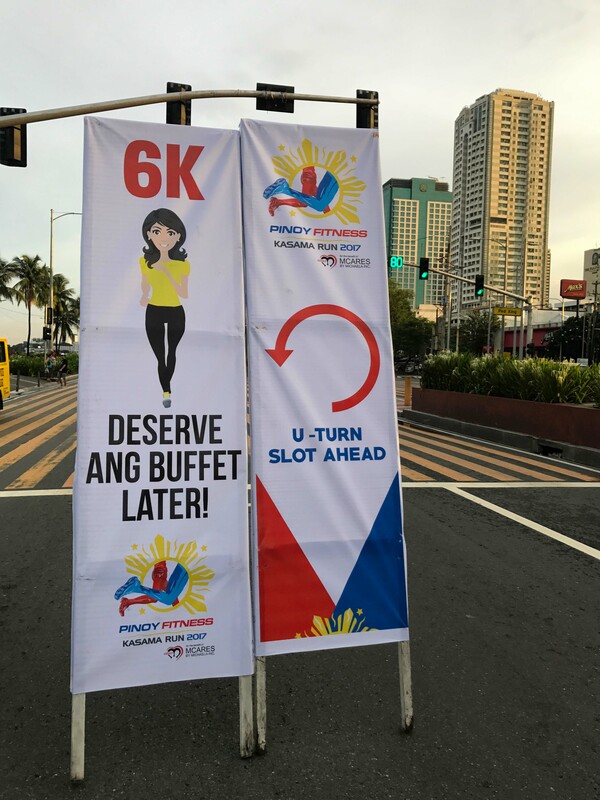 Kasama Run but waley ako kasama. Hahahuhu. My friend Kelly wasn’t able to make it that morning so medyo solo flight yung dating ko. Thanks for the photo! All smiles because these boys made it and we’re all eating buffet breakfast shortly! Hahaha. 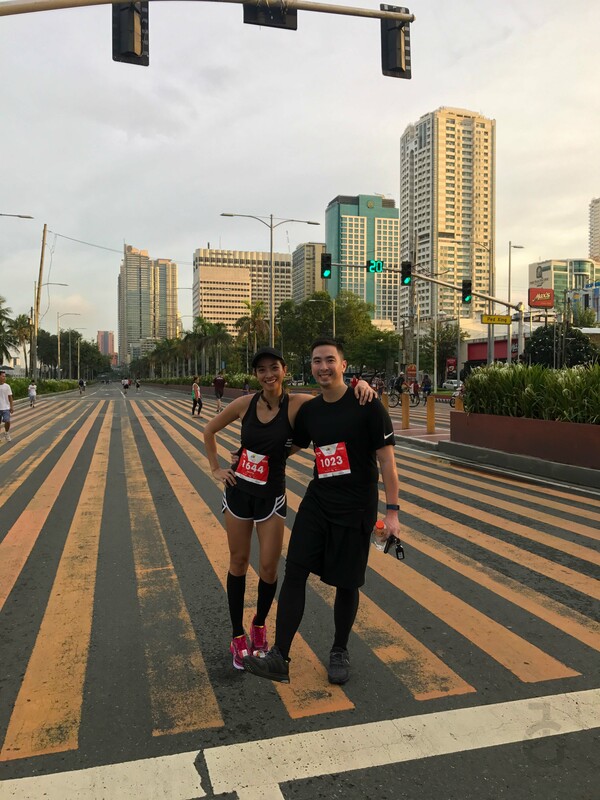 Congratulations to our friends Nard & Kristine for finishing 16k! 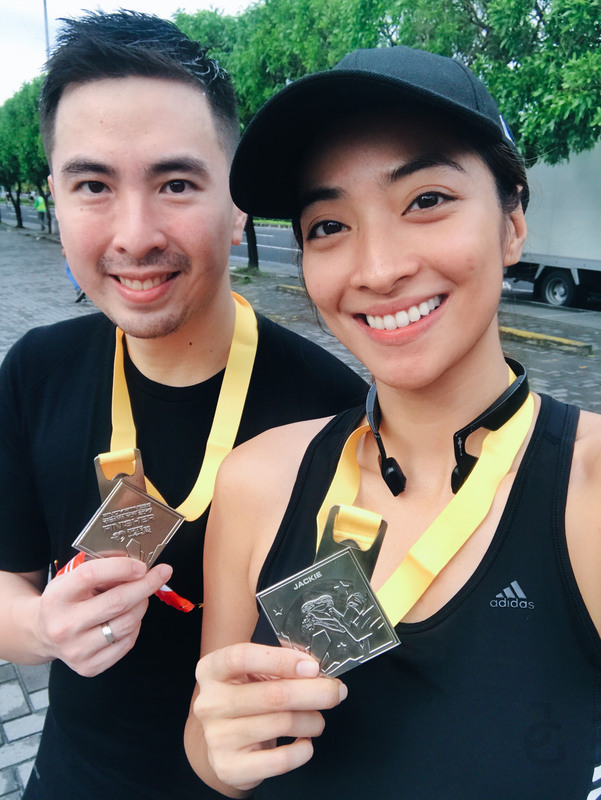 So proud of this guy for finishing his first ever 10k run! Now I have someone to run with? Can we try 16k next? Heehee.